Bimini Tops from AMERICA'S LARGEST SOURCE! Welcome to National Bimini Tops! 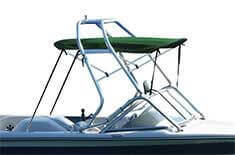 We specialize in getting you the right boat bimini top for your needs. 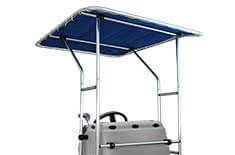 We do this by offering a wide variety of covers made from the most durable marine grade materials including Marinex and Sunbrella. National Bimini Tops carries industry leading cover brands such as Summerset, Summerset Elite, and NBT house brand. 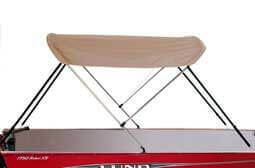 Boat Bimini Tops: Only The Best Quality! 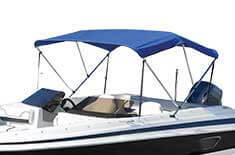 We only carry bimini tops constructed with marine-grade materials to ensure high performance and low maintenance. National Bimini Tops offers the brands you trust most like Summerset and Summerset Elite, featuring Sunbrella® fabric. We pride ourselves in offering only the very best bimini tops on the market! Summerset offers handmade quality bimini tops constructed of sleek, durable Marinex fabric. Marinex fabric is completely breathable 100% solution dyed polyester, in addition to being UV and mildew resistant. 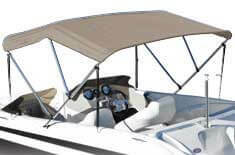 Summerset Bimini Tops are easy to assemble and they are designed to provide shade and reduce glare while on the water. 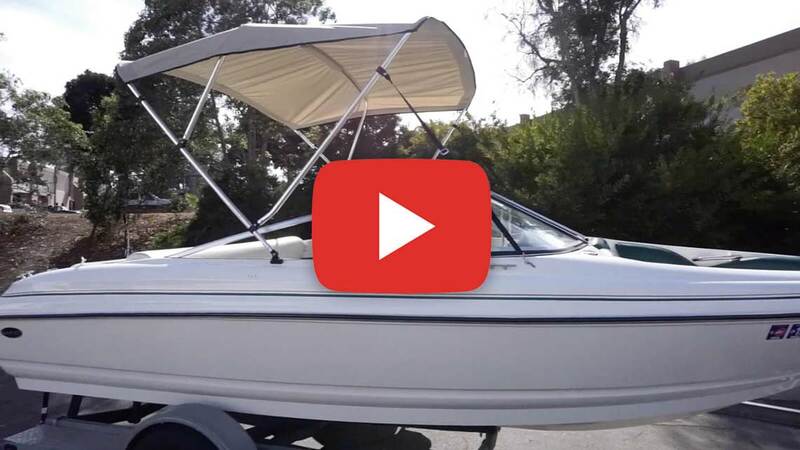 Summerset Bimini Tops are made from the finest quality materials that will withstand the rigors of boating to keep your vessel looking great season after season. Summerset Bimini Tops are available in a variety of colors and they come with a free storage boot! Summerset Elite Bimini Tops are handcrafted with genuine Sunbrella® 100% solution dyed fabric to ensure vibrant and exquisite colors that last. This mildew resistant fabric is custom fitted to sturdy hardware that is easy to install onto any boat. Sunbrella® fabric is the #1 fabric choice for boaters and is completely breathable offering the best warranty in the marine industry. 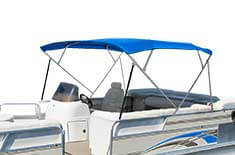 Summerset Elite Bimini Tops are built to last, providing protection you need year after year. All Summerset Elite Bimini tops also come with a free matching storage boot!